Have you ever wondered why a cat purrs? For our feline friends, this is well known as a sign of happiness and contentment. But they purr during times of anxiety or stress too. They emit different vibrations which correspond to different emotions as a way of healing or soothing themselves. Yet it is more than that. Incredibly, it is believed their purring contributes to making their bones dense and strong. Now imagine that cat sitting contentedly in your lap, purring rhythmically and soothingly, and you will begin to understand the power of vibrational medicine. The goal of this powerful emerging wellness therapy is to activate the body’s energies toward equilibrium and balance. So how does it work, exactly? Vibrational medicine influences the body’s energy field by changing its frequency. Imagine it as transferring energy frequencies into the body. These resonant vibrations activate the body’s energies in the direction of balance, creating positive energy and ultimately better health. Illness or negative emotions are associated with unbalanced body vibrations. By channeling higher energy frequencies, a person’s vibrations can be raised and their energy reset. There are a variety of vibrational remedies used by sound resonance practitioners, and these can range from light or sound frequencies to crystals and hands-on healing. Acupuncture, homeopathy, radionics, crystal healing, electrotherapy, radiology, chakras, meditation, and psychic healing all affect the energy and subtle vibrations of the body. Yet for those of us who wish to harness the power of vibrational medicine at home, we look to some different remedies, some age-old and others technological marvels. The use of Tibetan singing bowls is a centuries-old practice, with monks having long included them in their meditation rituals. They are believed to promote relaxation and offer powerful healing properties and are therefore widely used by wellness practitioners. But their simplicity means they can easily be used at home, too. 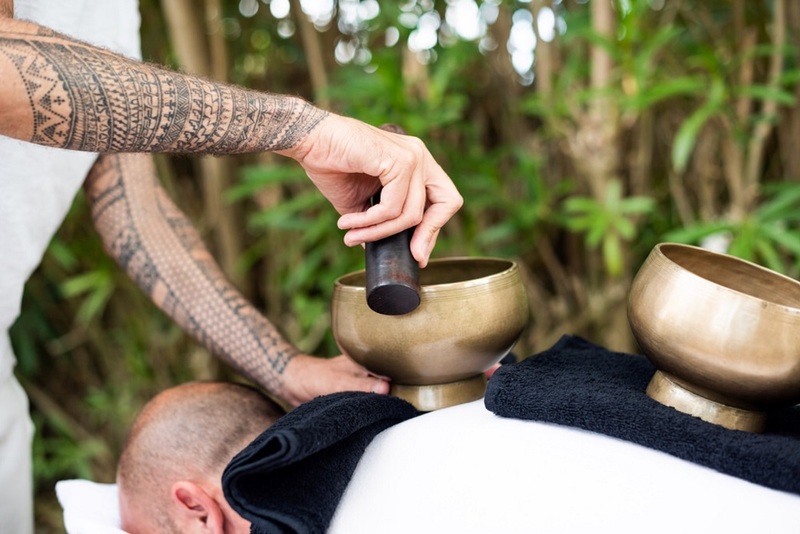 The vibrations emitted by these unique singing bowls can create profound stress- and pain-reducing effects on the body. It is believed that this occurs as the body’s energy system is balanced, with many claiming that the vibrations can stimulate the immune systems and produce beneficial changes in brain waves. Our Life Butlers believe strongly in the power of sleep, and we have examined the fundamental importance of sleep to our physical and emotional wellness in great depth. So combining sound resonance and sleep is a match made in wellness heaven. A new product to hit the market is the So Sound resonated mattress, which has acoustic resonators embedded. Soothing sound waves create energy in your body as they immerse you in a gentle sleep. Stress levels are lowered, as is the heart rate, blood pressure, muscular tension, and pain. At the same time circulation is increased, and brain waves are balanced. Through the acoustic resonators, your entire body listens to the musical vibrations. Vibrational medicine is by no means a new trend; however, wellness experts are extolling its virtues with ever-increasing passion. As more and more of us strive to return our bodies to their natural equilibrium, the power of vibrational medicine looks set only to gain momentum.